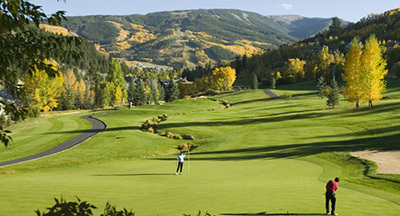 Continue your Beaver Creek Blues, Brews & BBQ weekend experience by participating in the third annual Cut & Slice Golf Event presented by US Bank on Monday, May 26th. During the golf round you will enjoy craft beers and mouth watering BBQ along the way. This year's event will feature multiple competitions throughout the course, including longest drive, closest to the pin and a hole-in-one challenge. A portion of the proceeds from the event will be donated to Can Do Multiple Sclerosis' lifestyle empowerment programs for people living with MS and their support partners. Price includes green fee, cart fee, practice balls, tee gift plus beer & BBQ on the course.